The most prominent controversy in gaming lately has been the inclusion of loot boxes and microtransactions in games. Several countries have looked into categorizing the purchasable crates that contain random items as gambling. In the US, the ESRB recently ruled that they are not gambling because the player still receives something of value from the purchase even if the item is a duplicate of little value to them. Update (11/16): EA has announced that it's temporarily pulling microtransactions from Star Wars Battlefront II. The backlash against Battlefront II reached such magnitude that EA has been forced to take action and try to save face (and the game's future). "We hear you loud and clear, so we’re turning off all in-game purchases," wrote Oskar Gabrielson, GM of Battlefront II developer DICE, in a blog post. "We will now spend more time listening, adjusting, balancing and tuning. This means that the option to purchase crystals in the game is now offline, and all progression will be earned through gameplay. The ability to purchase crystals in-game will become available at a later date, only after we’ve made changes to the game. We’ll share more details as we work through this." Game developers have been turning record profits using this device and it has become the bane of many gamers on numerous forums. 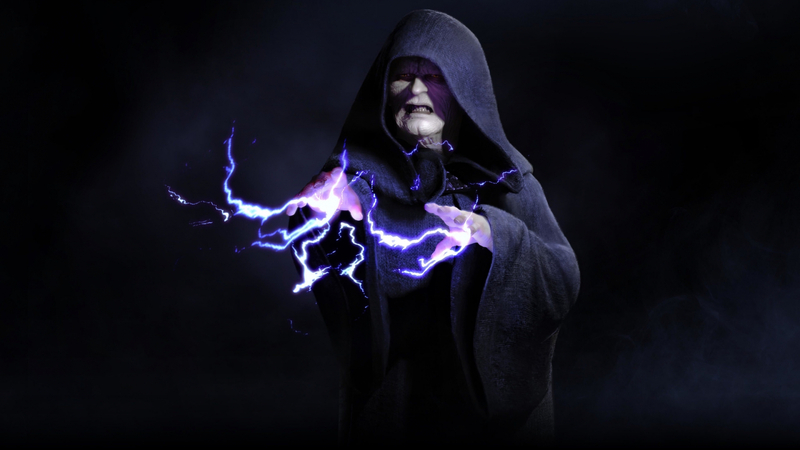 Electronic Arts recently lowered the costs associated with earning or purchasing heroes in Battlefront 2 due to severe player backlash on Reddit. Kamper bases his calculations on averages and assumes the player already has all cards and that they are already leveled up to level 3. He then averaged the drop rates for crates and the upgrade costs for each class. “This estimate ignores the time required to get all cards to level 3, the time required to unlock all heroes, and daily crates,” he said. He then broke down the costs associated with all seven classes (Troopers, Enforcers, Aerial, Armor, Speeder, Starfighters and Heroes). Out of all the categories, Heroes were not surprisingly the most expensive and time-consuming. According to his calculations, there are 207 Hero cards, which would require 99,360 crafting parts to upgrade. To get that many part,one would have to open 1,988 loot crates. This would, in turn, require 2,892 hours of gameplay which is an average of 126 hours per hero. Keep in mind that top-tier heroes like Darth Vader and Luke Skywalker are 33 percent more expensive than the mid-tier and cost three times more than the low-tier even after EA lowered the costs by 75 percent. Kamper claims that when all is said and done, it would take a player over 4,500 hours to unlock everything. Those who want to shortcut their way would end up spending more than $2,000 on the game. Of course, not everyone necessarily wants to complete the game entirely. However, these calculations do shine a light on the actual value of the game from EA’s perspective. If it can get a small percentage of players to invest just a fraction of that money into the game, they rack huge profits. The consensus in the gaming community is that developers are paywalling elements of the game just to squeeze the consumer for another buck — that $60 games cost much more than $60 if you want to enjoy the whole game. Players see it as price gouging at its most despicable level. You might just as well say slot machines would not be gambling if you changed them to be 1$ a spin and always return at least 10 cents. copasetic, Theinsanegamer, Reehahs and 3 others like this. You could also say a gamble is still a gamble even if you hit the jackpot. copasetic and Reehahs like this. Another reason not to buy any more of their games ..... seems that all the game makers, with a very few exceptions, are continuing to try to fleece the customer at every turn. Milk that Star Wars cow baby, milk it good! Theinsanegamer, Reehahs and Brock Kane like this. The developers have to not only pay the programmers, but now they have to pay the shareholders as well! Theinsanegamer and Peter Farkas like this. If you played the game for four hours a day every day of the year (that's a lot!) it would take you over 3 years to unlock it all. Do people actually play games like this? Much less "Star Wars" IP anymore? I can't think of any reason I would want to spend money to pretend to be Dark Vader or Luke Skywalken, when I can just do that with a blanky and an old cardboard wrapping paper tube for next to nothing. holy ****. And they thought nobody would catch onto this? I sure hope EA Battlefront II fails hard. This trend is going way too far. Brock Kane, BSim500 and Stark like this. "Our company can't repel backlash of that magnitude"
Just knowing EA puts this game out. Makes me stop from buying this game! In fact I stopped buying ES games two years ago! Their pay2win scheme has finally caught up with them. EA has always been a money hog and likely always will be. They're one of the greediest game studios in existence. They've completely dropped a ton of their F2P games, including some of their more popular ones, BF F2P and NFS F2P. They wouldn't even give the rights of BF F2P to people who said they would take it over. If they can't make money off of it, no one can. Maybe clicking on "Unwatch topic" might help. I don't know. You don't really looks new around here, so I guess I'm surprised you are having a problem with that. I think it just shows the last notification, and leaves it there until you get another. I took a look at your profile, and other than here it doesnt look like you've posted anywhere else. Try posting in another forum or article and see if it keeps happening or check your notification settings in Techspot, or maybe even make a post in their Ask a Question forum. I can't help beyond this, if those fail, it must be some form of glitch or bug in their website. No, only yours, and if it wasn't for the red circle showing up, it wouldn't bother me.... https://gyazo.com/421ce238a3cfec2fa65975826325e5f8 The little red circle has been showing for days. And it's always your post. Have you checked out Game of War from Machine Zone? THAT'S greed. Every week a new update that requires spending on multiple $99 packs to catch up. What you spent on the previous week becomes completely useless with the new update so you have to spend on multiple $99 packs to get back where you were. Oh, and one small mistake, and someone can wipe out everything you paid for in one second. And yet, MZ keeps putting new updates out and people are stupid enough to throw their money at it just to stay on top. There was one individual who embezzled $4.8 million dollars from his company and spent $1 million on Game of War. Needless to say, the dude is in prison now and has to pay it ALL back. Try going to your Alert Preferences and uncheck the appropriate boxes. You guys do realize that a large part of multiplayer games is a progression system, right? The "base game content" is meant to be unlocked by playing the game. It provides a feeling of satisfaction every time you level up and unlock something for playing the game. Keep reading if you want true, personal experience from the game. I've played the game at this point and it took me 5 games, which averaged 10-15 minutes, to unlock Darth Vader who was 15,000 credits. I've played the game for around 170 hours and I have most of the weapons and cards unlocked FOR FREE. And guess what? 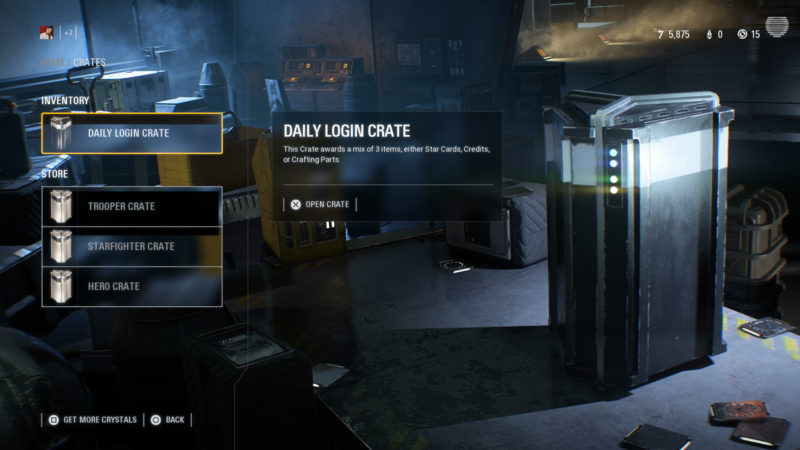 The player got a free crate every single day with credits and star cards in it that could even be leveled up already. Even then, in this game you couldn't even unbox heroes from crates, which is what I've heard a lot. That would honestly be ridiculous. I'm tired of seeing people judge this game and how it works without even playing it or seeing it be played. Seriously, please look into this yourself if you actually care. On the other hand, if you want to adopt other people's opinions and blindly hate things you know nothing about, get some help.